In this article, you will learn to create if and if…else statement in R programming with the help of examples. Decision making is an important part of programming. This can be achieved in R programming using the conditional if...else statement. 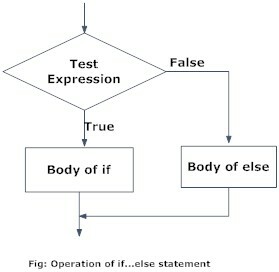 If the test_expression is TRUE, the statement gets executed. But if it’s FALSE, nothing happens. Here, test_expression can be a logical or numeric vector, but only the first element is taken into consideration. In the case of numeric vector, zero is taken as FALSE, rest as TRUE. 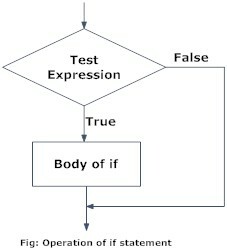 The else part is optional and is only evaluated if test_expression is FALSE. It is important to note that else must be in the same line as the closing braces of the if statement. The above conditional can also be written in a single line as follows. This feature of R allows us to write construct as shown below. Only one statement will get executed depending upon the test_expressions. There is an easier way to use if…else statement specifically for vectors in R programming. You can use ifelse() function instead; the vector equivalent form of the if…else statement.